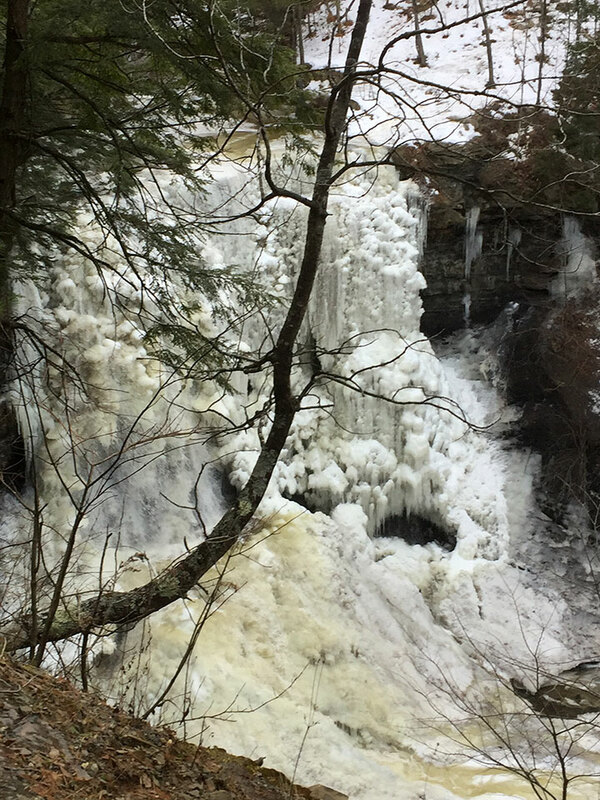 Last week, I wrote about the many flows of the month of February: the flowing of the springs from the hillside, the flowing of the river, the flowing of deep emotions, and the flowing of the sap from the trees. Today, I wanted to delve more deeply into the nature of the flow of the trees, as part of my “Druid tree workings” series, a series that focuses on deep magical and spiritual work you can do directly with trees in your ecosystem. Earlier posts in this series include: finding the face of the tree, druid tree workings on the outer planes, druid tree workings on the inner planes, helping tree spirits pass, winter tree blessings, a seasonal approach and the breath of the earth, establishing deep tree workings and working with trees in urban settings. The whole goal of this series is to develop deep spiritual and magical connections with trees in a variety of ways. To me, connecting to trees is a year-long process, but the nature of that work changes as the seasons flow. Today’s post explores a timely topic for anyone here in the temperate parts of North America: the flowing of maples and the magic of that flow. In the late winter, sometime in and into March (and April in some years depending on the weather), the sap begins to flow in many trees. Most trees have some kind of sap, but the sap we are talking about today is that which flows from maples and her close cousins (walnut, birch, sycamore, hickory). Sap is literally the lifeblood of the tree. All plants, including trees, have two kinds of tissues that transport nutrients: the xylem (which is a kind of vascular tissue in the inner bark of a tree that provides upward movement) and phloem (a second vascular tissue that transports nutrients from leaves to the rest of the tree). 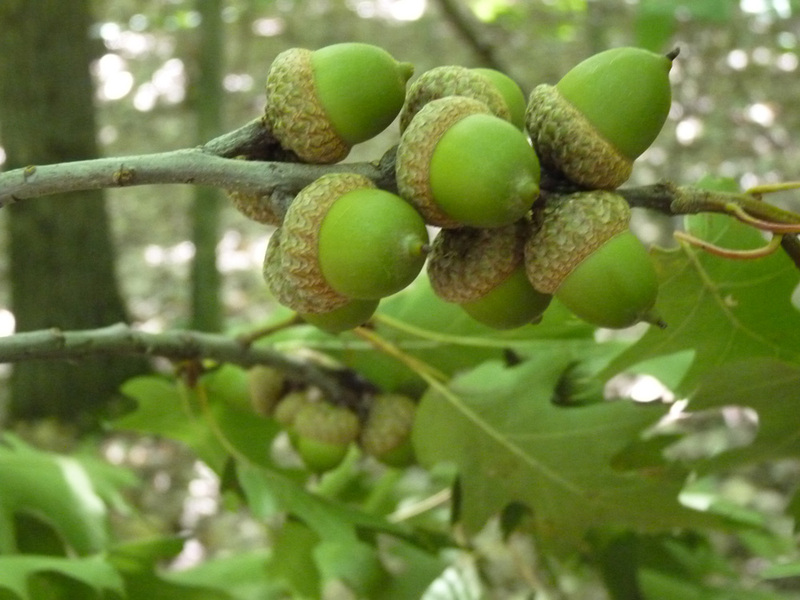 This exchange system allows the tree to move, store, and release nutrients in different parts of the year. The xylem and phloem system is conceptually similar to the human body, which uses the blood vessels (veins and arteries) to transport oxygen and nutrients. 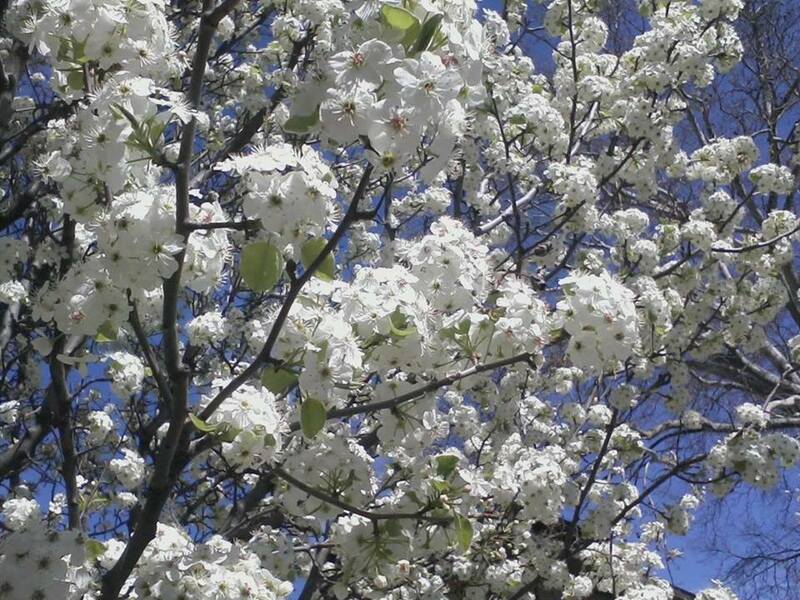 In the early spring, the tree begins to prepare for the coming season and starts converting starches into sugars. These starches were stored by the tree the previous summer and fall in the root system, and remain quietly present in the roots all winter long. In preparation for budding, the sweet sap moves up from the roots by way of the xylem and into the trunk and branches of the tree. 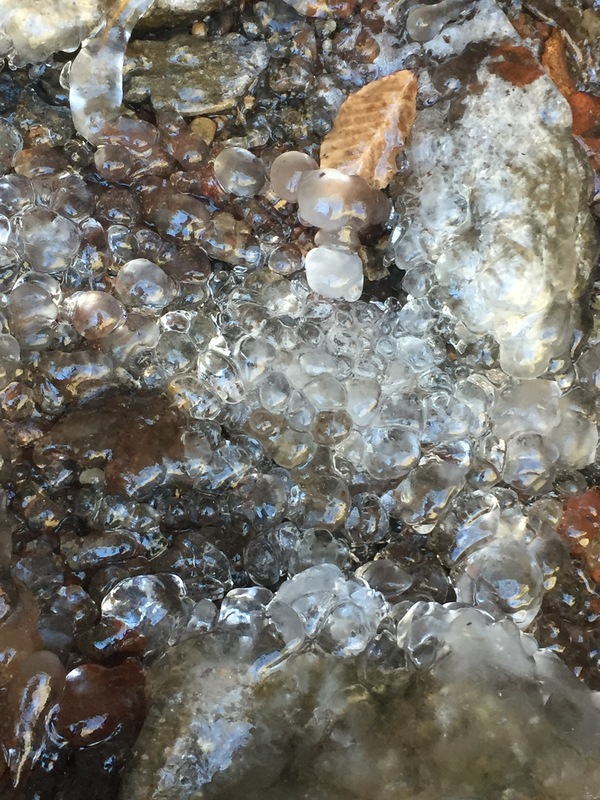 The science of how the sap flows is actually under debate, but regardless of scientific debate, there is no denying the incredible magic as the sap begins to flow. 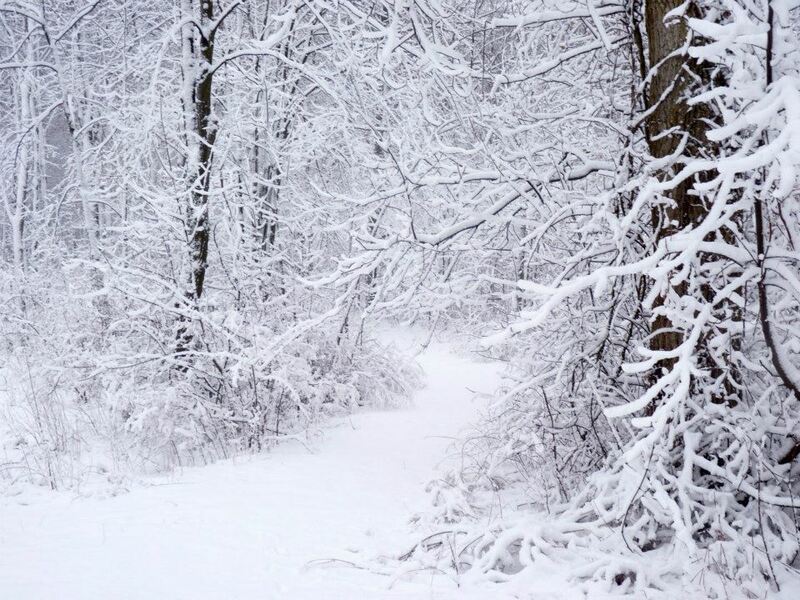 Due to the particular nature of Maple and similar trees a strong flowing of sap occurs in late Feb and early March when the temperatures are below freezing during the night and above freezing during the day. This sap ceases flowing when the trees bud in the spring–the sap having completed its work to spark the new life of the coming season. While the science and health benefits are certainly of interest, just as important to focus of today are the esoteric qualities and magic of this process. 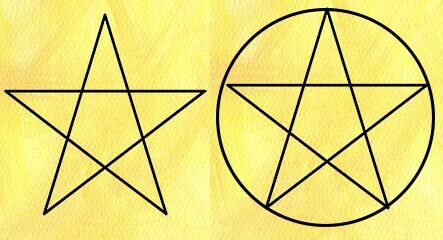 To this, we can turn to two concepts from the Druid Revival tradition, both of which I’ve written about on this blog in various ways before. 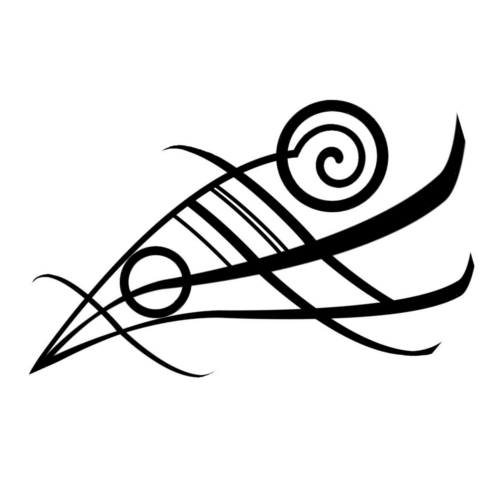 The first is the concept of Nywfre (noo -IV-rah), which is considered in the druid tradition as the energy of the life force. That is, it is the spark of life, the vitality that creates life, the energy that flows so life can happen. Other traditions have other names for this such as qi, chi, prana, ankh, and so on. In fact, Western civilization is one of likely very few who doesn’t have an actual term for this power (although the popular term “force” from Star Wars is perhaps most fitting). The second concept that is of relevance to the magic of the flowing of the maples is the framework of the three currents through which energy flows through the land within and without: the telluric, solar, and lunar currents. The telluric current is tied to earth energies, and, as my earlier post describes, is the current of energy of the deep earth. The telluric energy wells up from the core of the earth and outward into every living being–through roots and plants, through sacred wells and springs, through hot pools, and so forth. It is not hard to put the esoteric philosophy together with the physical reality of the sap flowing in the spring. 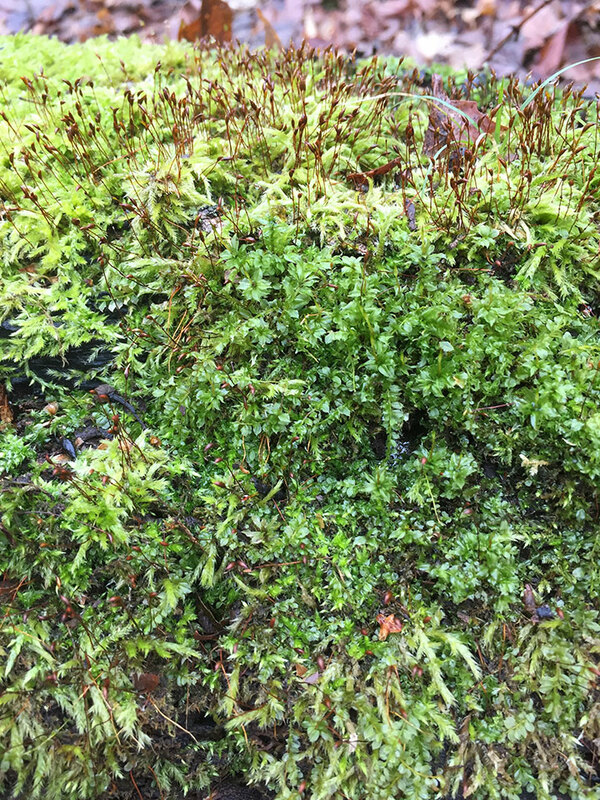 The early spring sap is–literally–full of the vitalizing life force of nywfre, rising up from the deep earth via the telluric pathways. This sap is what allows the buds in the spring to grow, what sparks them to life. This sap is vitalizing, refreshing, healing, and incredibly rich in telluric energy from the living earth. And likewise, unsurprisingly, drinking the sap as a beverage, or, using fire and ice to transform the sap into a syrup, can allow one to deeply commune with the maple tree and offer revitalization and strength. 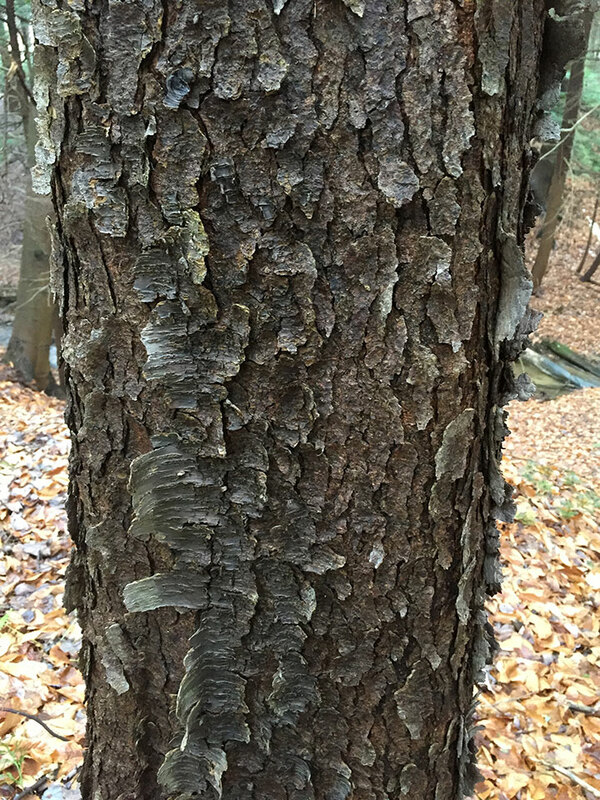 This sweet sap of a sugar maple has about 2% sugar content but also a host of vital nutrients and minerals including 46 nutrients, minerals, amino acids, and phytonutrients–all of considerable benefit to human health. 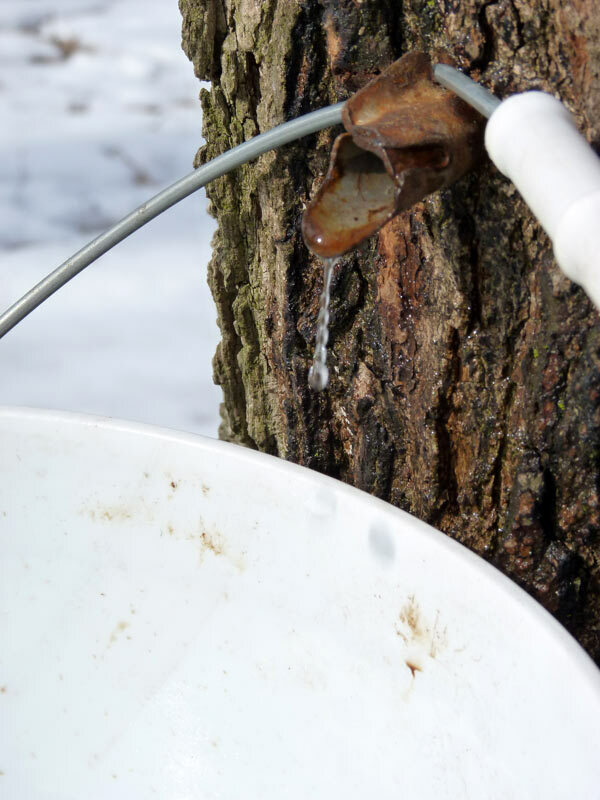 While few of us have drank the sap straight from the tree unless you have tapped trees (or have friends who have tapped trees), many of us have probably enjoyed the maple syrup that comes from the process of boiling down fresh sap into shelf-stable syrup that can last for many years. In my opinion, there are few things more vitalizing or refreshing as drinking this magical sap straight from the tree, and fewer powerful ways to commune with the trees in this regard. 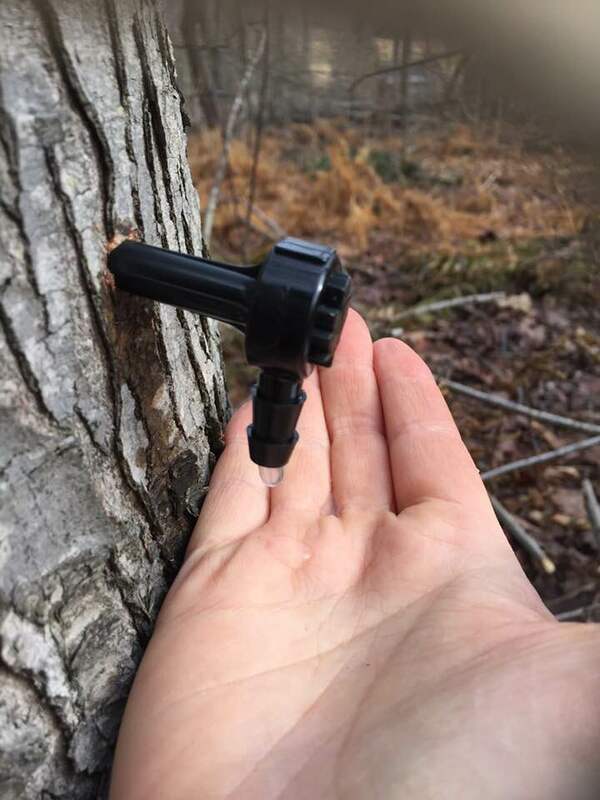 Humans have been tapping maple trees for millenia; a small tap in a healthy tree will quickly heal over and cause no long-term damage to the trees. 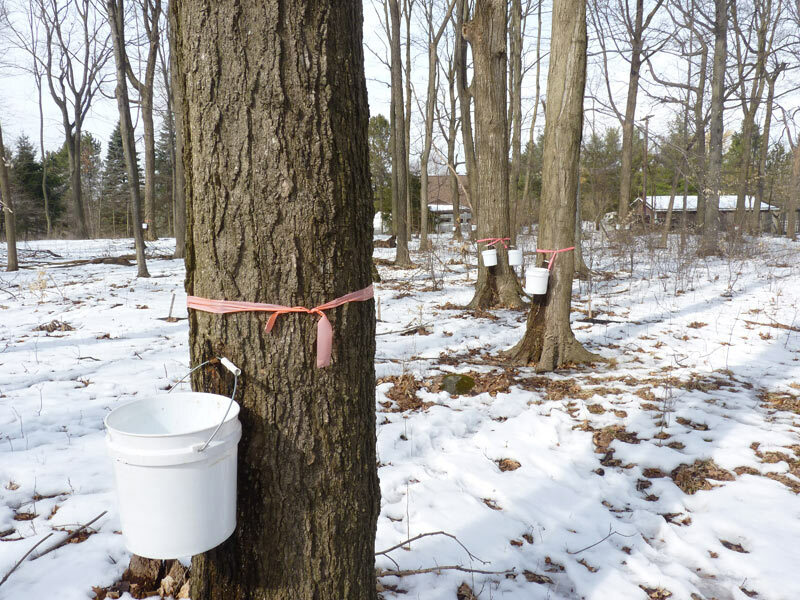 In places in New England, people have been tapping the same “sugarbush” of trees for over a century and a half. Still, in order to really tap the flow of sap–literally and figuratively–I think its important to recognize that you and the trees are always in a relationship. Walking up to your nearest maple with a 5/8″ drill bit, drilling in a hole, plugging the hole with a spile, and taking the sap without asking is, in my opinion, an exploitative practice. I believe if we are to work the magic of this sacred time of year as a druid tree working, we need to be in reverence and connection with the trees. And that begins with gratitude and respect. Sap in buckets on trees! 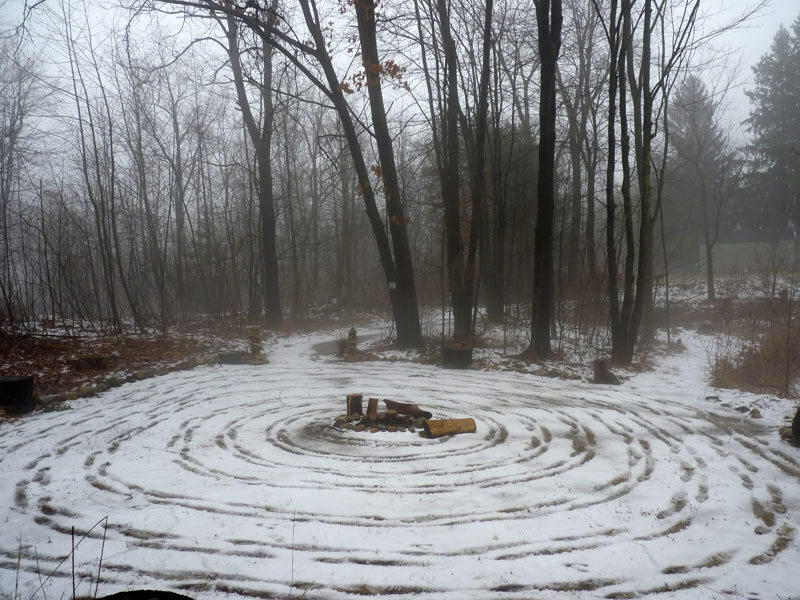 My own Imbolc tradition, tied to my own ecoregional wheel of the year, is deeply tied to the flowing of maples and the honoring of these trees. Typically, I work to determine the first potential day that the sap may be flowing. 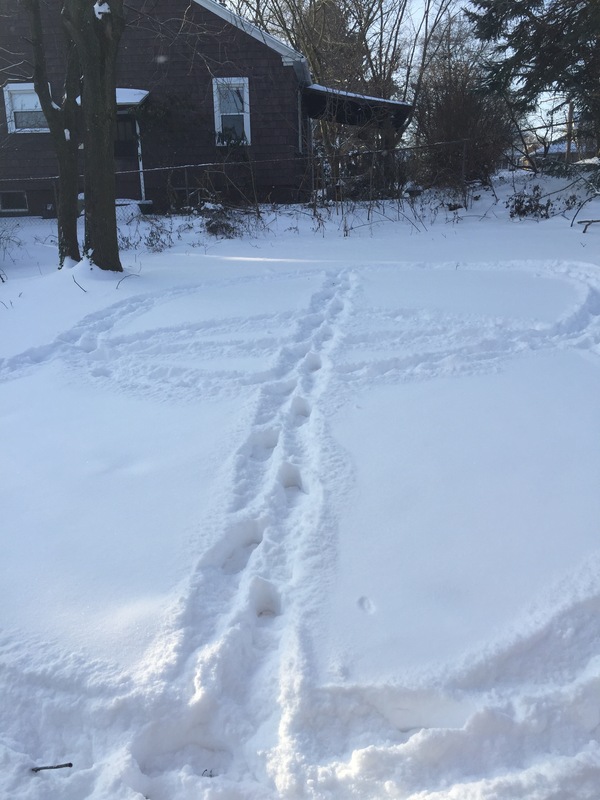 For me, this most often gets folded into my personal Imbolc celebration as the weather is starting to warm right around that time period. As Imbolc was traditionally a time of lactating ewes, to me, Imbolc happens when the maple begins to run. A good warm day, with sun, where the temperature is at least above 40 for the first time, is when I will go out. As it was my first year tapping trees on this land, and as this land has been damaged, I took considerable care in approaching the topic with the Maples who were on the land. Thankfully, six of them allowed me to tap them, and I honored each of them with a home-grown tobacco offering, panflute music, and my own energy in return for them accepting a tap. In addition to my own work, a group of friends also did a wassailing for the largest of the maple trees at the late January supermoon just as the trees were beginning to run. After we wassailed the tree, each of us drank of the sap (which I had warmed and brought out in a thermos due to the cold) and then went on silent walking meditation on the land till retreating to the warm house to enjoy a potluck meal. Every year since I began learning about tapping trees (so about 8 years ago now), I have worked to keep this tradition alive. Even when I lived in a rental house, I managed to keep this tradition going by tapping three trees in my yard and boiling off the sap on an electric burner on my porch. I’ve also tapped a single tree in a friend’s yard so I could still enjoy some of the sap. I wrote about the process a few years ago, when I was still living in Michigan, and my friends and I setup a regular yearly sugarbush. 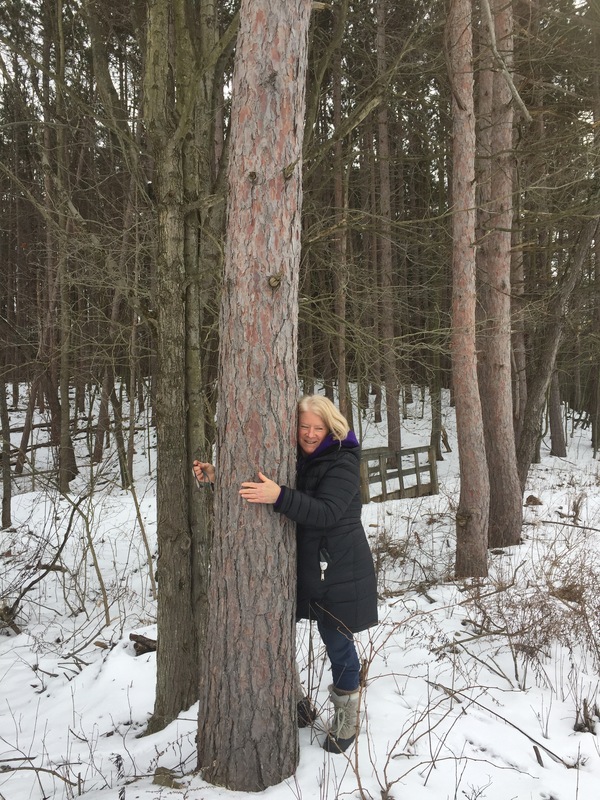 Even if all that you do is drink some sap straight from the tree, you will gain much in the way of benefit–an energy exchange with the tree and a revitalizing opportunity to deeply commune. However, if you decide to boil the sap down, you can also experience the transformative power of alchemy. Of course, the Sugar Maple (who also has the name of “Fire maple” in the Appalachian Mountains) would know much about alchemical processes. The process of transforming sap into sugar is two-fold. 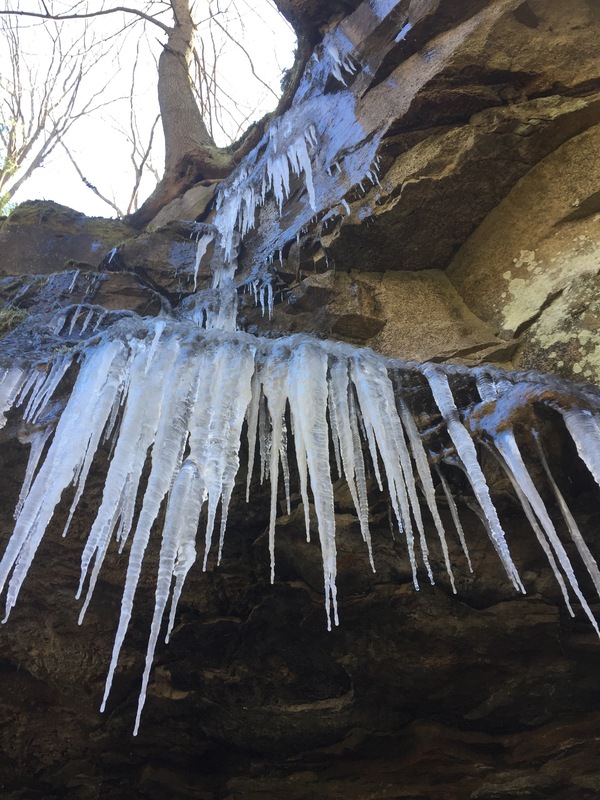 When the sap is dripping from the tree, and then is sitting in a bucket or storage bin overnight, it often becomes partially frozen due to the rise and fall of temperatures. The Native Americans found that if you removed the ice, it concentrated the sugars and minerals in the remaining liquid. 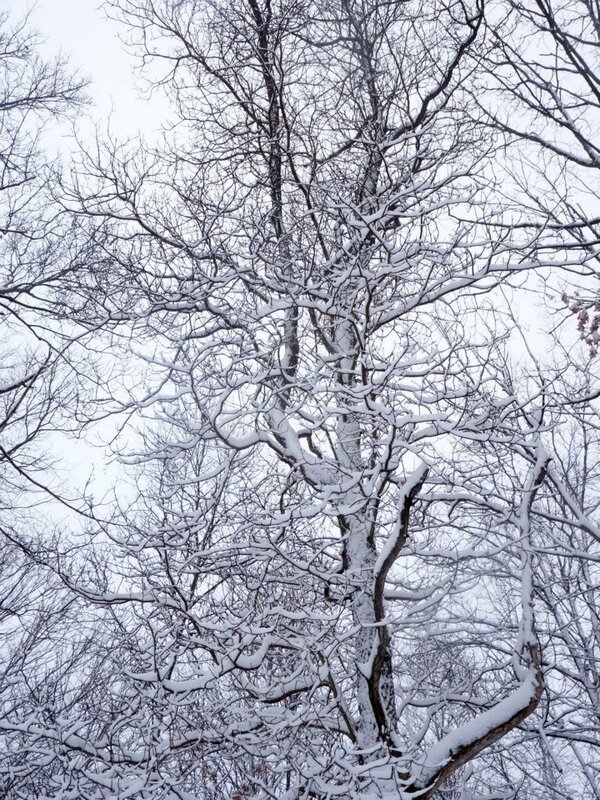 Allowing the sap to freeze down by half reduces the boiling time as there is less water to remove. So, it is a wise idea to pull out all the ice from the buckets. The winter itself, the freezing, allows this process to take place. The second part of the process, which I detailed on this blog some years before (and linked above), is boiling the sap down using heat and flame. This, too, is alchemical in nature–through the application of fire, we transform the maple from almost pure water to one of the greatest delicacies known to humanity. 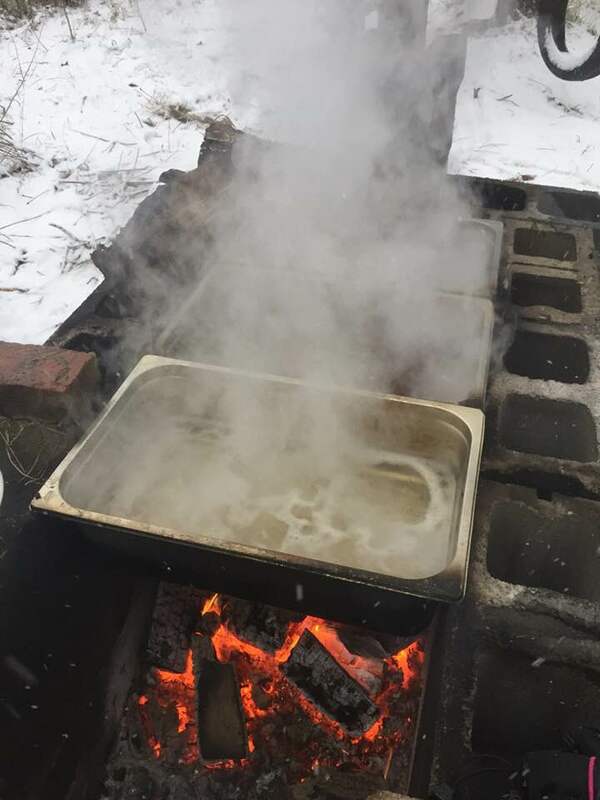 The use of an actual wood fire, which is done only by hobbyists (and never the bigger industries) creates a maple syrup with a delightful hint of smoke that is truly one of my favorite things to enjoy. If you have purchased maple syrup commercially, you would likely not have tasted this wood-fired syrup. 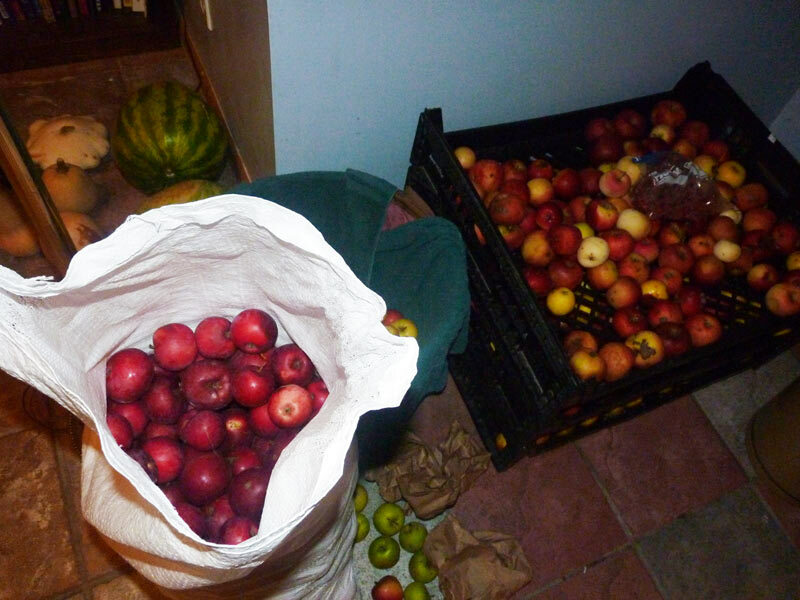 Last weekend, some permaculture friends and I did our first big boil this year. We researched and built a simple boiling unit using concrete bricks and used restaurant pans as our boiling pans. We started with 25 or so gallons of maple sap and 5 gallons of walnut sap. We boiled the sap all day, even as the snow started to come down. We boiled the walnut down separately–it still tasted (surprisingly) similar to maple but with a hint of deep walnut flavor at the end–so delicious! 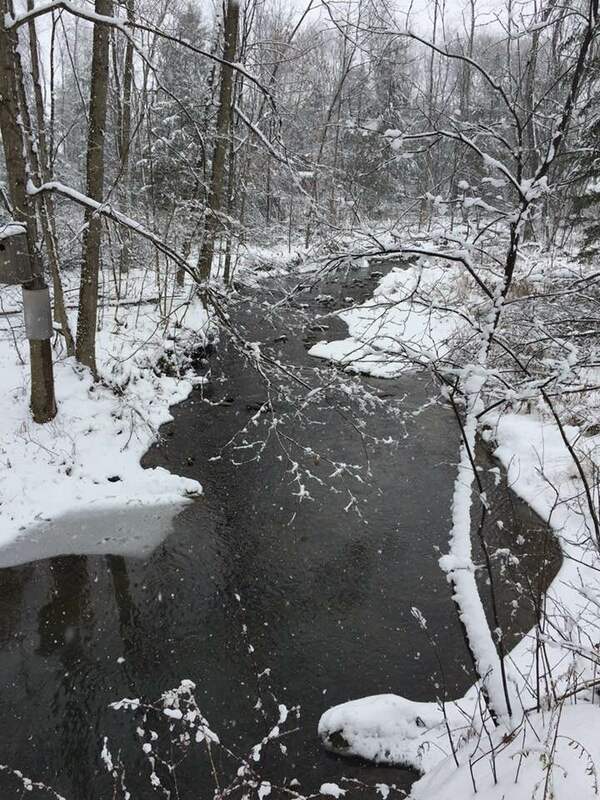 As I wrote this post, I am sitting here near my stove, drinking fresh sap from the trees and keeping an eye on my finish off the result of our sugaring from the day before. The rich scent of wood-fired maple syrup permeates the air. I think about how much vital energy–nywfre–is now concentrated in a single drop of this incredible syrup. When I am feeling depleted or run down, even the smallest spoonful of this will offer a tremendous benefit. If you have a chance to tap even one maple tree, and the tree gives you permission, I would suggest trying to do so and enjoying the rich rewards that the flowing of the sap offers. Even if you cannot tap a tree, spending time with a maple on a warm day when the sap is flowing will transfer some of this nywfre and telluric energy to you. You can stand with your body against the tree (like you are giving her a hug) where the sun hits the tree (and the sap flows most strongly). Spend time here, and feel the flow of the nywfre up the tree. Sense that same nywfre flowing up from your own feet and through you, revitalizing you. Doing this often, on each warm late winter day, will provide tremendous benefit. As an American druid, I am always looking for ways that we might adapt our druidry to the ecology present on our landscape and tie to the magic inherent in our specific lands. Sugar maple is, of course, native to North America and grows in a fairly limited geographical region spanning parts of the Eastern USA and Eastern and southern parts of Canada. To me, the maple is one of the most magical trees in our landscape: she is abundant and easy to find, she is honored by many (including many who are not druids) and she is so giving of what gifts she has to offer. Her lifeblood can sustain us through difficult times, and likewise, we can tend her and keep her forests in good health. 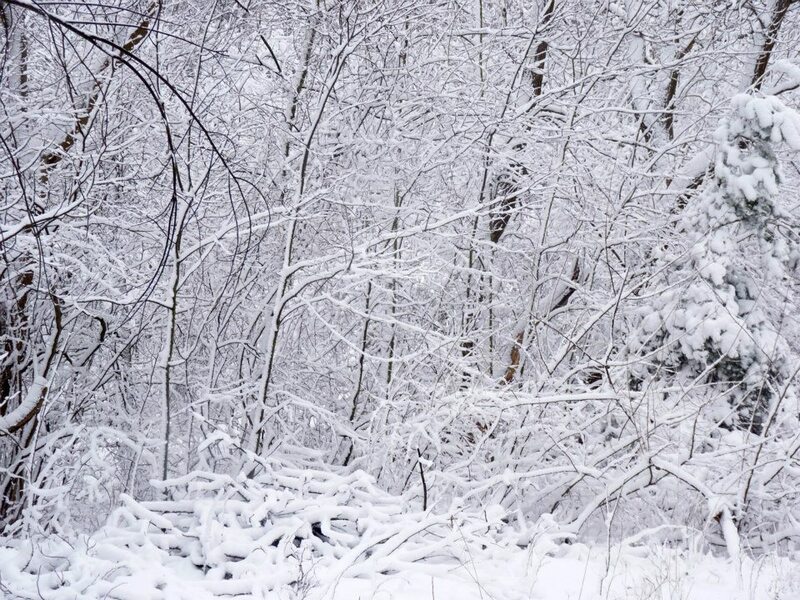 She is a tree tied to the early spring and seems to be in her greatest power as the snow and ice yet permeate the land (tied to the “ice” part of the alchemical process of reducing sap) and to the mid-fall (tied to her “fire maple” nature). 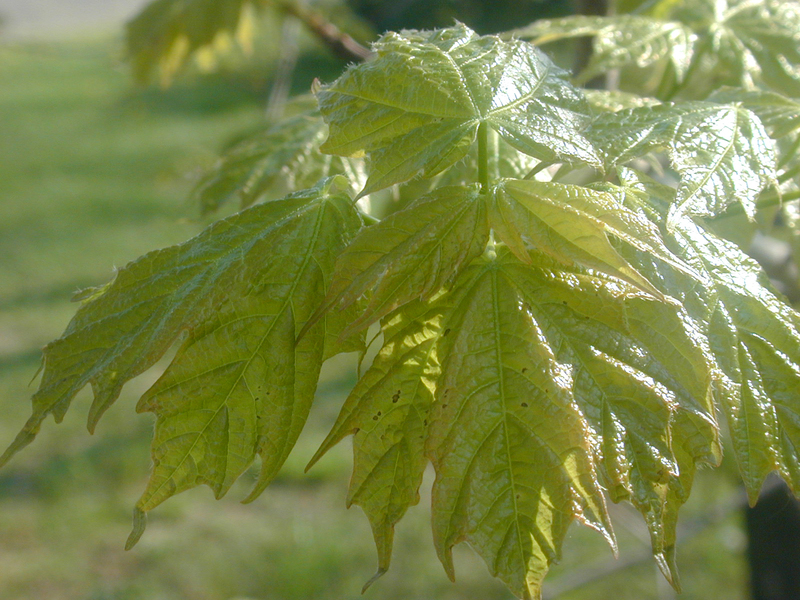 And where maple doesn’t grow, you may find one of the other healing sap producing trees: sycamore (a type of maple), another variety of maple, birch, hickory, or walnut. 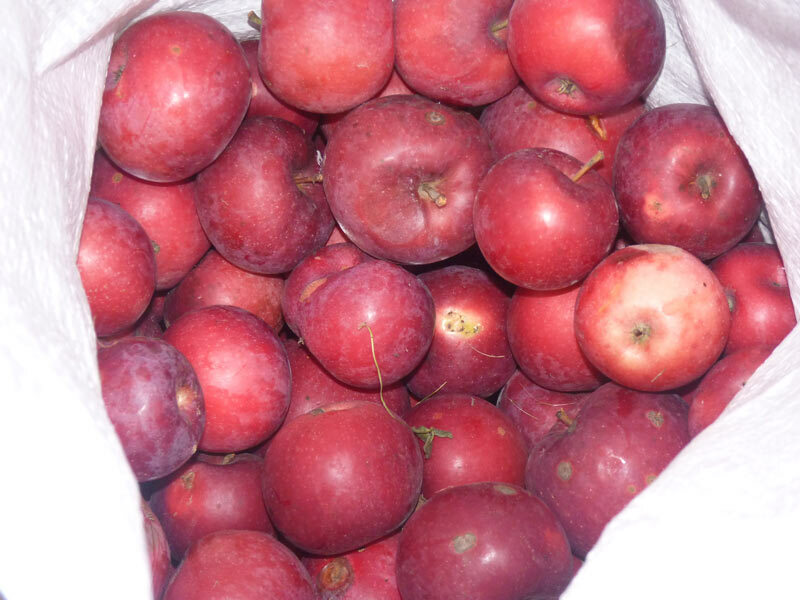 All produce a delightful sap that you can drink fresh or boil down into syrup. And certainly, most would be willing for you to sit and enjoy them on a warm day! The druid tradition–along with many others–is full of stories about sacred waters. From the Chalice Well in Glastonbury to the invocation of the “Salmon who Dwells Within The Sacred Pool,” we’ve got our water going on. 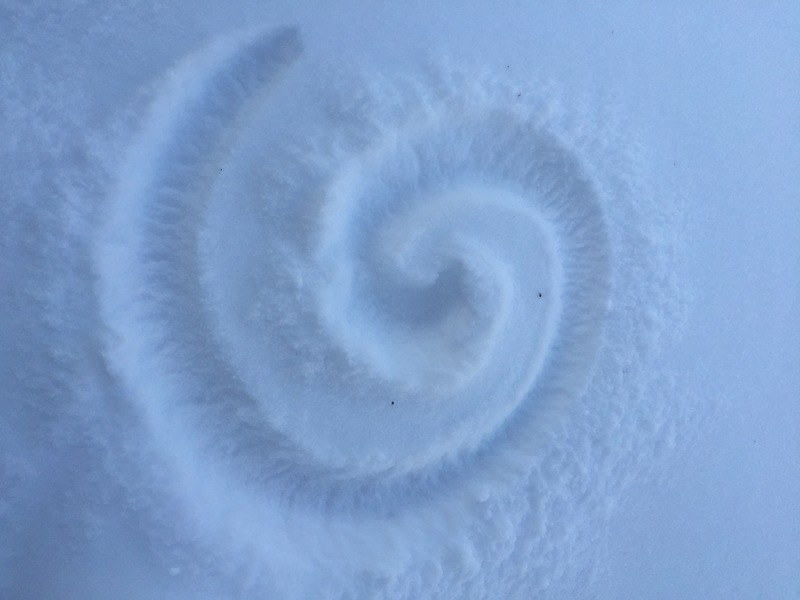 Imbolc (which happened earlier this week) is often a holiday associated with flows, and many of us do workings with water and healing with water in various ways. More than this though, water has a number of key places within our conceptual frameworks in the druid tradition. 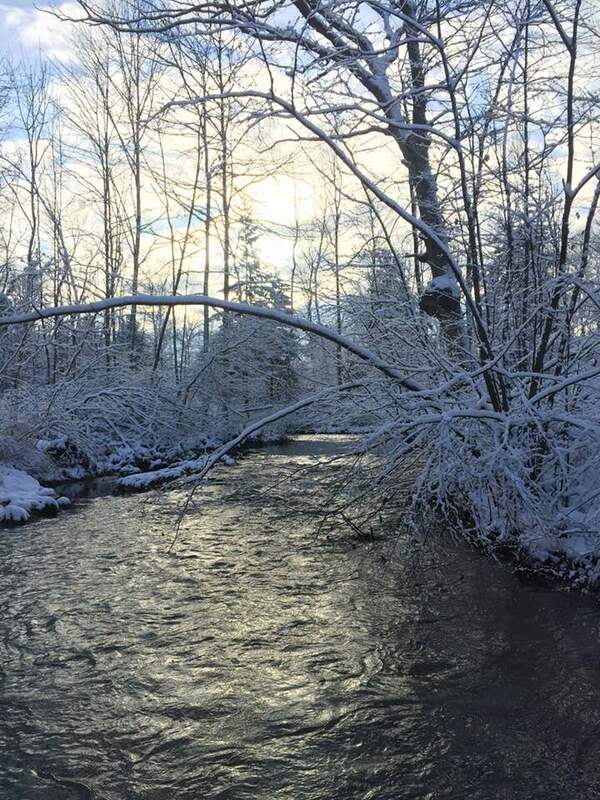 In the four element system so commonly used in earth-based traditions (that has been part of western thinking for a very, very long time), water represents our emotions, our intuition, and our connection to our spirituality. In the druid revival’s three element system, water is connected with Gywar, the principle of flow. 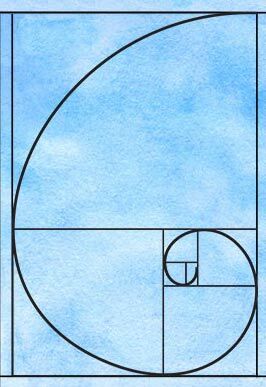 It is Gywar that helps us move forward and to grow–it is the principle of change and fluidity. On a physical level, since our bodies so fully depend on water and water flows, and we are made up of mostly water, the water is a fundamental part of living and being. 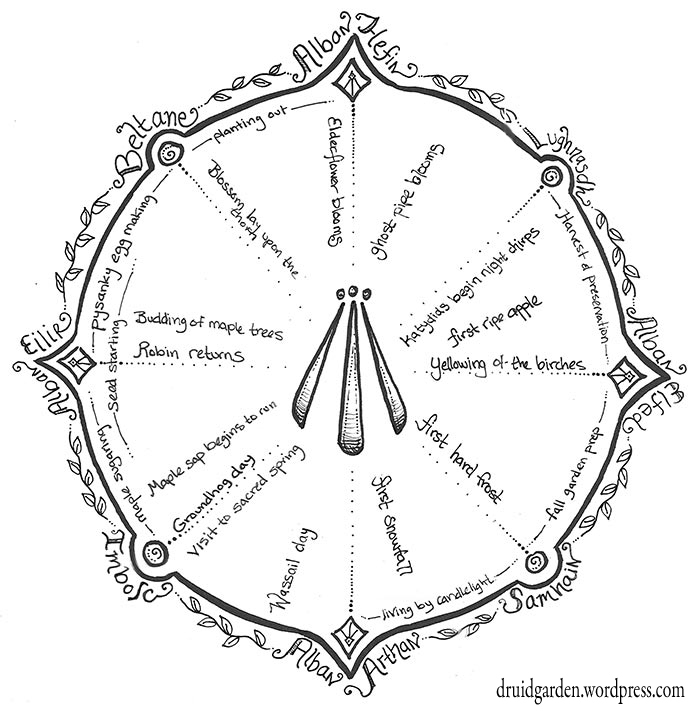 So, it is fitting for American druids to consider how sacred wells, pools, and springs may fit into our own paths. 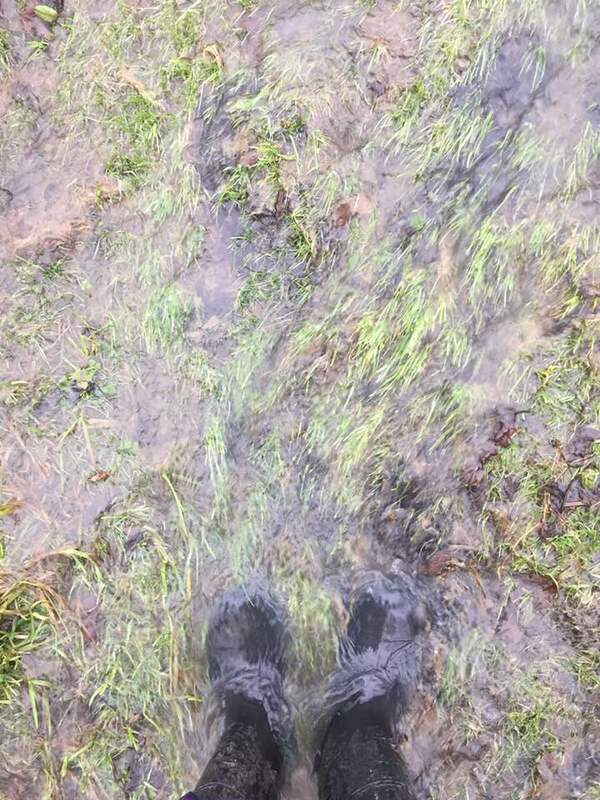 In fact, today’s post will discuss my experiences of being led to a sacred spring and the work of water upon the landscape. While we venerate and work with the water, we also recognize the duress that our waters have been facing for centuries due industrialization and pollution. Perhaps in the United States, Pennsylvania, my beloved home state, has one of the saddest of tales. 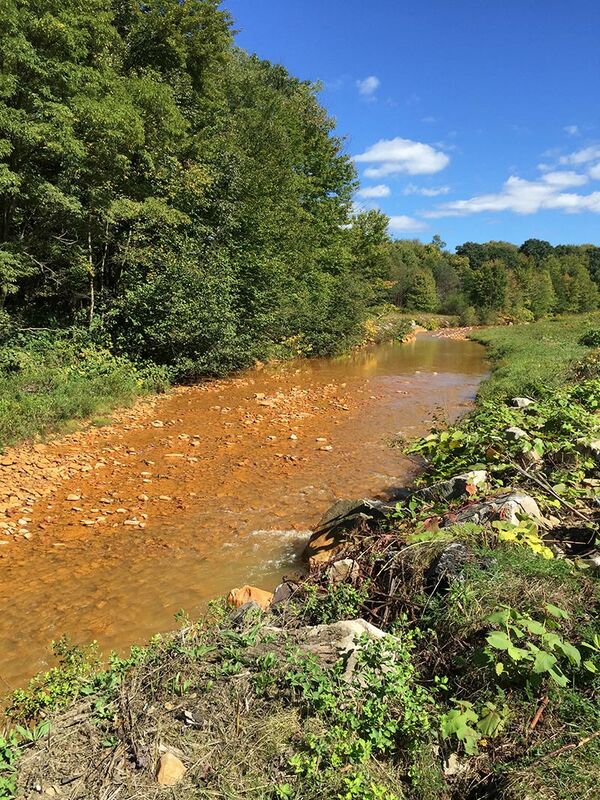 Our rivers have long been poisoned by mining and industrial activities; in fact, we have nearly 3000 miles of poisoned rivers from Acid Mine Drainage due to abandoned coal mines. I went to high school on the banks of “sulfur creek”; a creek that was a sickly yellow-orange where no life was present and stunk like sulfur. It was severely polluted about 4 miles upstream from a long-abandoned coal mine. I completed my undergraduate degree on the banks of the Monogahela River, which was ranked the most endangered river in the USA in 2010. This poor river is very sick–it had (and still has) this opaque sickly blue-green hue and a horrible smell. No life lives there; it has millions of pounds of toxic waste from factories dumped in it each year. Finally, where I now teach at a university in Indiana, PA, we have tremendous amounts of natural gas wells and fracking, which threatens underground aquifers and all sources of surface water–many people’s wells are polluted and in very bad shape. Needless to say, water is a real issue–and clean water, pure water, is not always easy to find. Further, water has been the focus of a lot of recent discussion and scrutiny–and a challenge many humans face. Again in the USA, we have the long-standing drought in California and Texas, the complicated “water rights” of the US West, and most recently, the poisoning of several generations of Flint, MI residents. On an international stage, melting ice shelves, warming oceans, and rising waters are a source of continual–and increasing–concern. As a whole, humanity has some major challenges with water. I believe the challenges with water don’t just appear on our outer realms, but on our inner realms as well. If we poison the very source of life–the waters–how can we not reflect that within? And so, working with the water, healing the water on all levels, can be part of the sacred work that we do in the world. 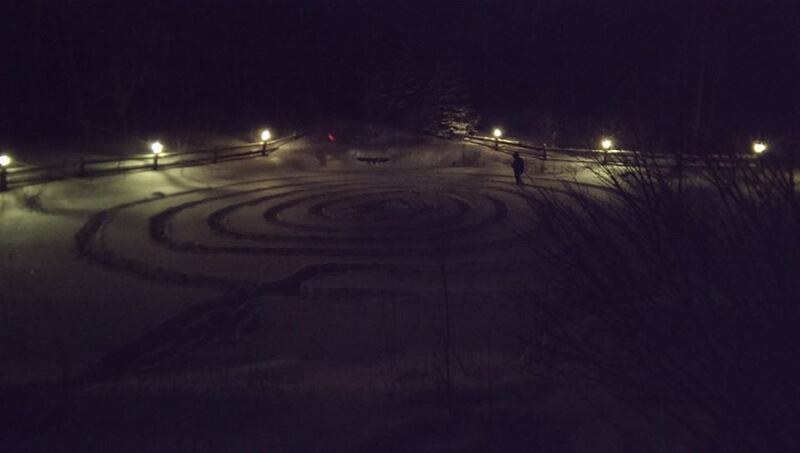 While we have these challenges with waters ongoing, we also have other challenges in embracing the sacred–as many fellow American druids well know, finding and working with existing sacred sites in an American context can be extraordinarily challenging (due to the many issues outlined in my earlier post). While trying to avoid tourists, not engage in cultural appropriation, deal with pollution or ‘development’, or find a quiet place to do rituals and venerate the land. Today though, I want to share some insights on my experiences with natural springs. 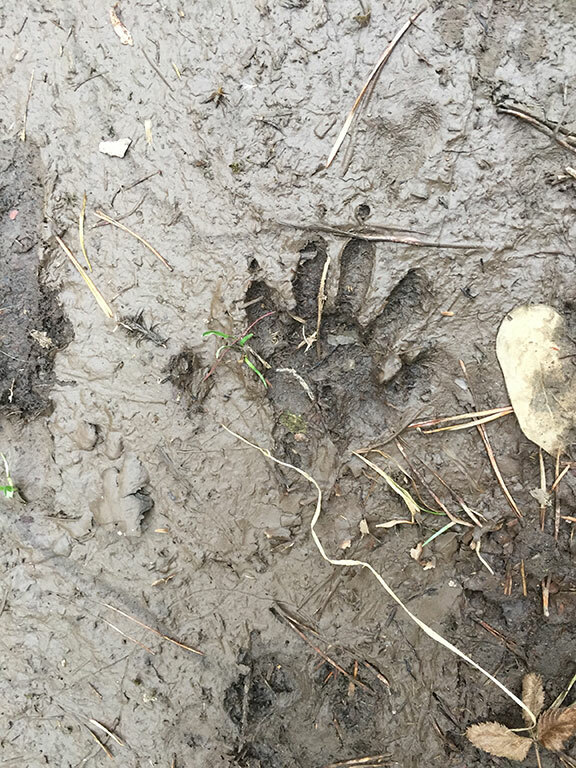 I want to tell a magical tale of unfolding, of discovery, and of a deeper connection with another sacred site that I discovered by accident–and the rich rewards this work has brought. 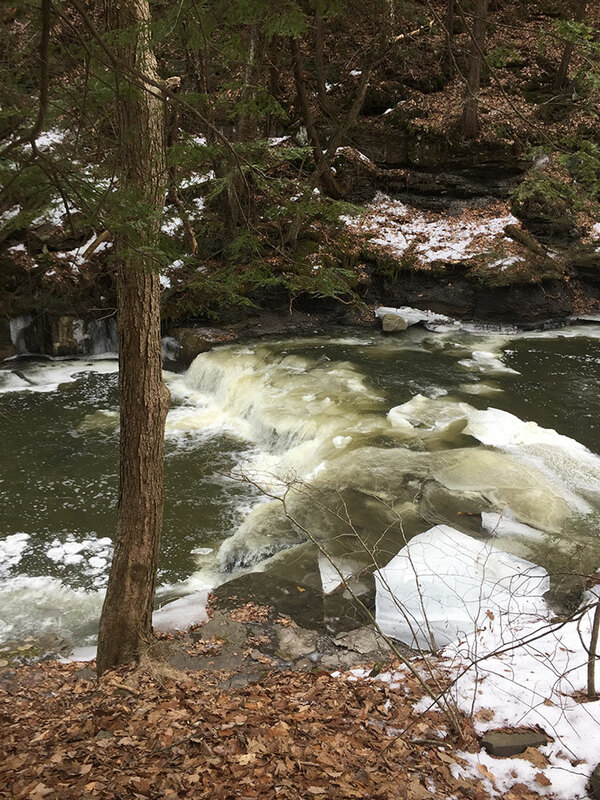 I didn’t arrive in PA and intent on finding a sacred spring–but the universe has a way of unfolding and leading us on a path we are to travel. Just after I arrived, I was on my way to visit my parents, who live about an hour from me. There are a few different ways to get there, and I decided to try one that was a little longer, but possibly more scenic. On my drive in, I passed something on the side of Route 56 just north of Johnstown, PA that looked like a few pipes coming out of the side of the mountain and running into a drain with a few people gathered around getting water. I didn’t have time to stop that day, but I made a mental note to return, and on my next pass through, I did just this. Upon my return, the constructed rock face, a sign displayed “Heffley Spring, Rebuilt 1970.” When I stopped this time, two people were there. One was a middle aged woman with a fan literally full of glass jugs, who told me ,”This is the best water around. 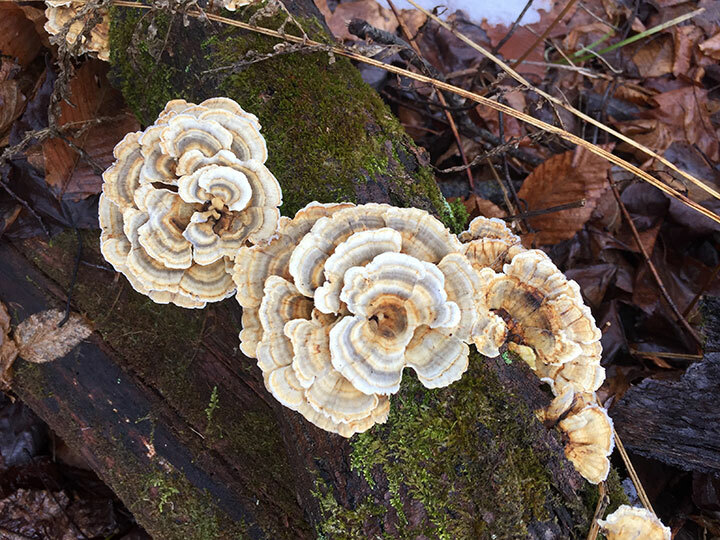 It comes right out of the state park in the mountains. I come out here ever two weeks for my family. I won’t have them drink anything else.” Another older man with a beat-up pickup truck was filling up smaller vessels to pour into two large cisterns on his truck. He smiled and said, “My family has been coming to this spring for generations. I remember coming here with my grandfather, before it was rebuilt. This is for me and my chickens. I won’t drink that crap the city calls water with fluoride in it.” I asked them both, “Is it safe?” thinking about the many poisoned water sources around. They both nodded emphatically, and the woman said, “I watch out for my kids. Penn state just came down and tested it a few years ago.” The man laughed and said, “People around here have been drinking it their whole lives. There’s nothing up on that ridge except trees” as he pointed to the steep mountain ridge going up at least 2300 feet. Just then, a long-distance biker pulled up, nodded to all of us, uncorked his water bottle, and took a swig. And so, following suit, I took my glass water bottle to one of the three pipes and filled it up, then drank deeply. The water was delicious, cold, refreshing. But not just on a physical level, on an energetic one. Druid revival lore speaks of the high concentration of telluric energy (the energy of the earth, the light of the earth) that flows forth from natural springs. This water had it in abundance–I didn’t feel like it had only nourished my body, but my spirit as well. I could sense the water rejuvenating and energizing me to my very core. It was more than just typical water–it was healing and sacred. As I sipped on the water from the spring, I took a look carefully around the site. The rock face of the spring was in the shape of a Keystone, the symbol of Pennsylvania–a symbol of heritage and tradition for this land, but also one of deep spiritual significance. 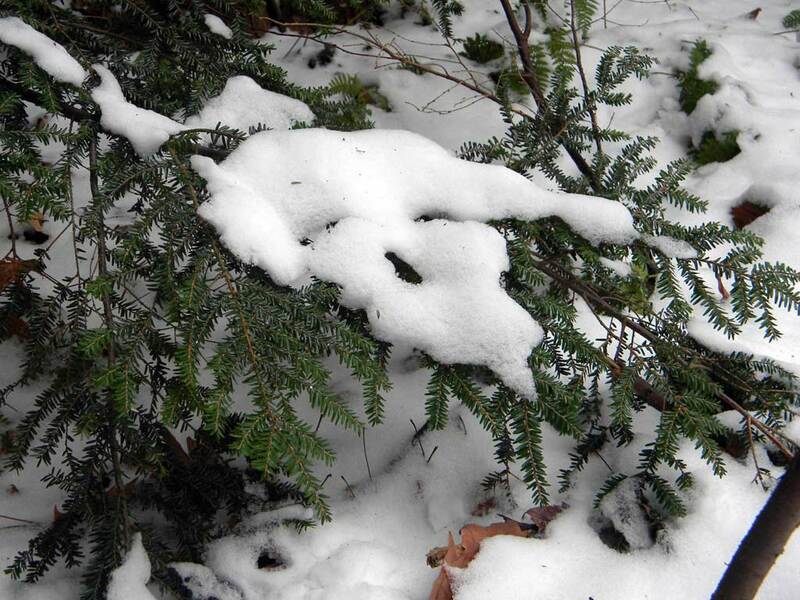 The patch of hemlock trees, nowhere else along the mountain, grew up from above the spring itself. This, to me, was a very good sign: hemlock trees cannot tolerate water pollution and like moist areas, so seeing them reassured me that this was a safe source of water. The cars to and fro on the highway, zipping past behind us. It wasn’t the first idea in my mind for a sacred site with all of the hustle and bustle, but the seed was planted. Over the next six months, I returned to the spring many times. Once, I took an old friend who was visiting, and she was so delighted to stop there, sharing her memories. She hadn’t been to the spring for nearly 30 years, and as she drank the water, she had this smile on her face that stretched from ear to ear. Each time I visited the spring, I met a few more interesting characters–those who come to the spring for nourishment and renewal. Once, I met a woman who was dipping her rosary in the pouring water. She said nothing, and got back into her car quietly. 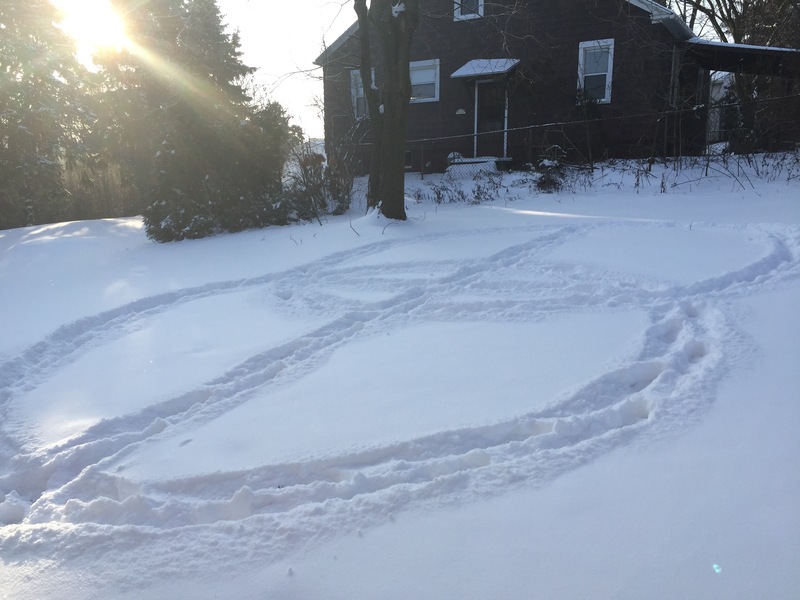 The last time I visited, to gather water for my Imbolc celebration, I met a man who had a beat-up pick-up truck with huge wheels with a wild beard and a gleam in his eye. 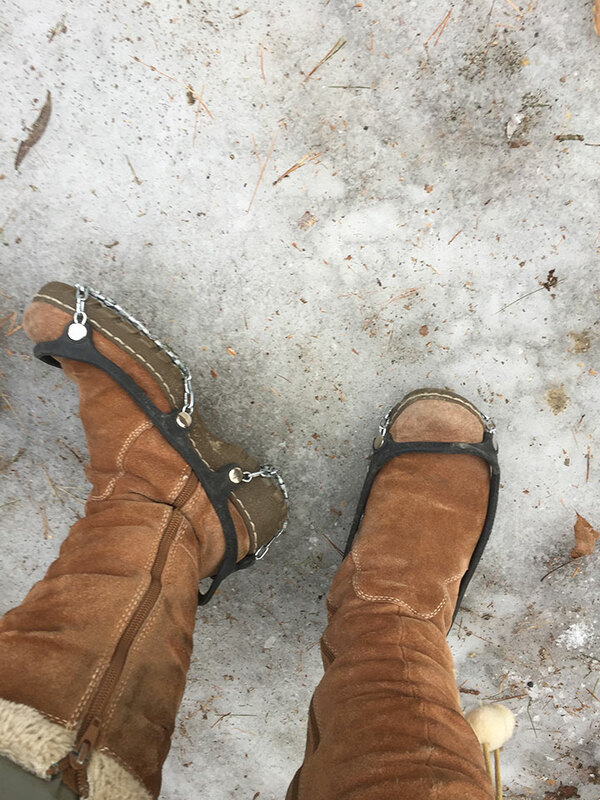 Given that it was only about 20 degrees out, I said to him, “I wasn’t sure if the spring was going to be still flowing, given that its winter.” He laughed and said, “You must be new to this spring. Everyone knows it never stops flowing. It doesn’t matter if there is a drought, a blizzard, nothing will stop it.” I thanked him and we continued to fill up our vessels on that cold late January day. I also asked my family about the spring, and my mother told us that she remembered going there and getting water as a child. This past Christmas, my parents found an old movie projector (the kind with the reels) and old movies my grandfather had made in the 1950’s and 1960’s. We watched the movies over a period of weeks–and there, in one of the movies, was my young grandfather and grandmother with their three children (with the fourth, my uncle, still in the belly!) getting water at that spring. I jumped up excitedly, and my cousin, who has also recently started going to the spring, hugged me. “Its a family tradition!” This was particularly exciting for a group of people who had very limited traditions and passed down heritage of their own. Of course, there is still much mystery surrounding this particular roadside spring. 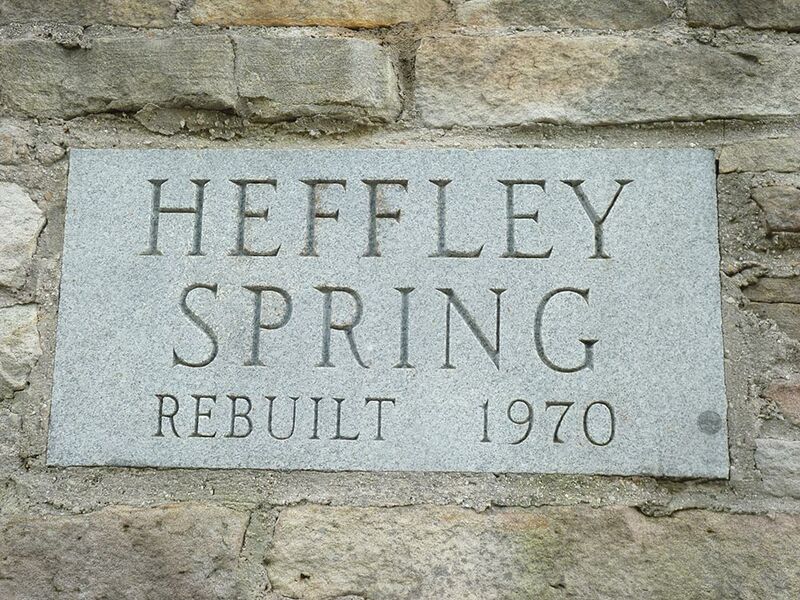 I’m really interested in now in studying more about Heffley Spring and its history. What did it look like before it was rebuilt in 1970? A trip to the Johnstown library and discussion with other people at the spring when I visit are next steps for me on this journey. 1) This spring is a sacred site to the local community. I say this because that’s what many sacred sites are: sites of value that people return to often, spend time at, and that they work to protect. Witnessing the woman cleansing or blessing her rosary in the waters confirmed that more is going on here than meets the eye. I’ll return to this in the next section. 2) This spring also is the site of a rich family tradition, being visited at least by my grandparents, but my guess is much later. As I’ve written about before on this blog, I’ve often felt estranged both from my larger family heritage (since I’m not Christian) but also a deep sense of loss of the older family traditions that would have come from the countries of my ancestors (Ireland, Germany, etc). I am so thrilled to find this small piece of history here. 3) This site is rare–so many of our waterways are poisoned. 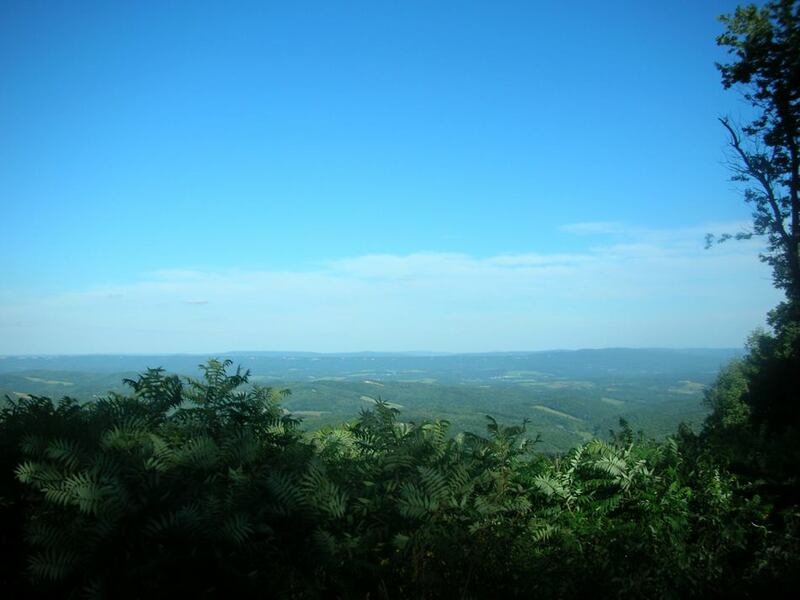 This one has escaped it for a few key reasons including being outside of the major Marcellus shale zones (so no fracking), not being near any major coal veins (so no fracking) and having its water source within the mountain, the same mountain ridge that holds 13,000 acres of protected lands (Laurel Ridge State Park). Because of this, it has a tremendous potential for healing in the broader landscape. 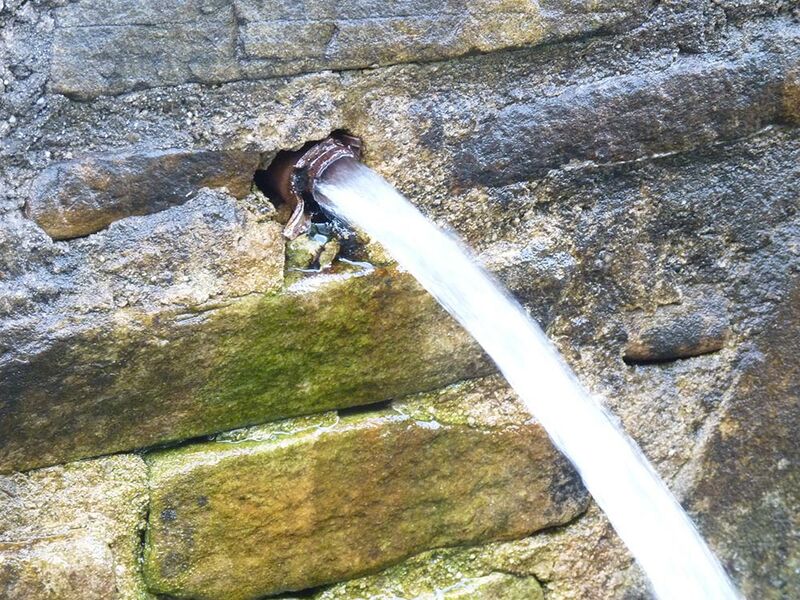 I believe that many such springs have these same qualities–and seeking them out is a wonderful way to reconnect not only with the sacred waters of the land, but build traditions rooted in local experience. Spring still flowing in January! These experiences have taught me many things about the nature of sacred sites in the US and the importance of these springs. And so I want to conclude with some general thoughts about the nature of sacred springs and how we seek them out and build them into our own local druid traditions. The Modern Sacred Site. Vising Heffley spring has encouraged me to expand my understanding of a sacred site. If we work with the definition of it as as a place having significance and value (although not necessarily spiritual value), in a community, then springs that people visit for water certainly fit this bill. After finding Heffley spring, I’ve begun to seek out other sacred springs in the area. I’ve since visited two springs to conduct more observations and gain more insights. 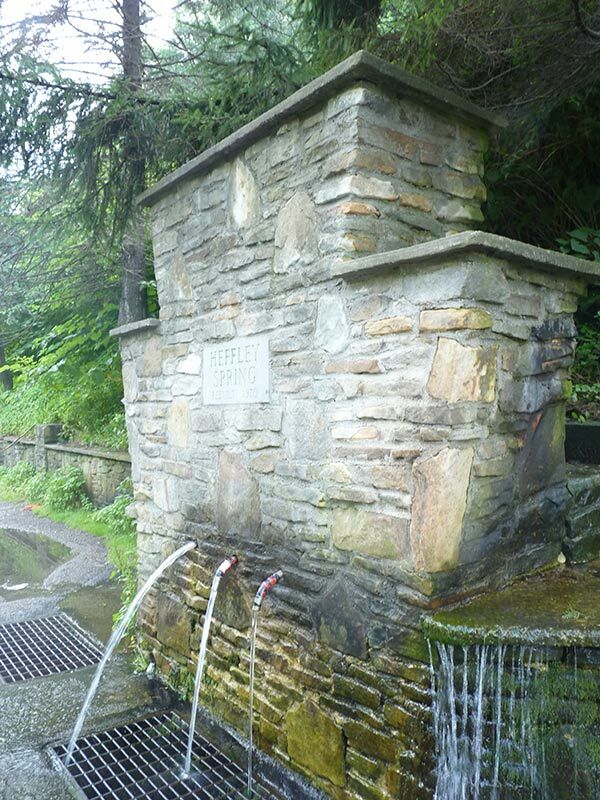 A visit to Roaring Spring (PA) and Berkley Springs (VW) reveal more of the same patterns–in this case, entire towns are named after the springs, and both of these springs are centerpieces in the towns. 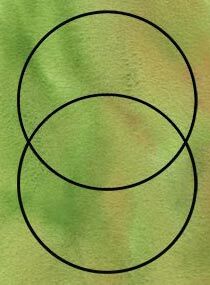 This means that the whole of human activity was once centered around these springs. And today, of course, people visit these springs, they take the water within, and they value them. This isn’t probably a radical observation in other parts of the world, but here in the USA where so many are so disconnected, it is profound. What this means, in essence, is that not only is the water coming from these places empowered with the telluric currents, it is further empowered with the visitation, value, and respect that so many ordinary citizens hold for these springs. In this way, they function as true “sacred sites” in ways few other places may do at present. Waters of Healing and Soothing. This means that we, too, can visit these sacred springs for healing and magical work. 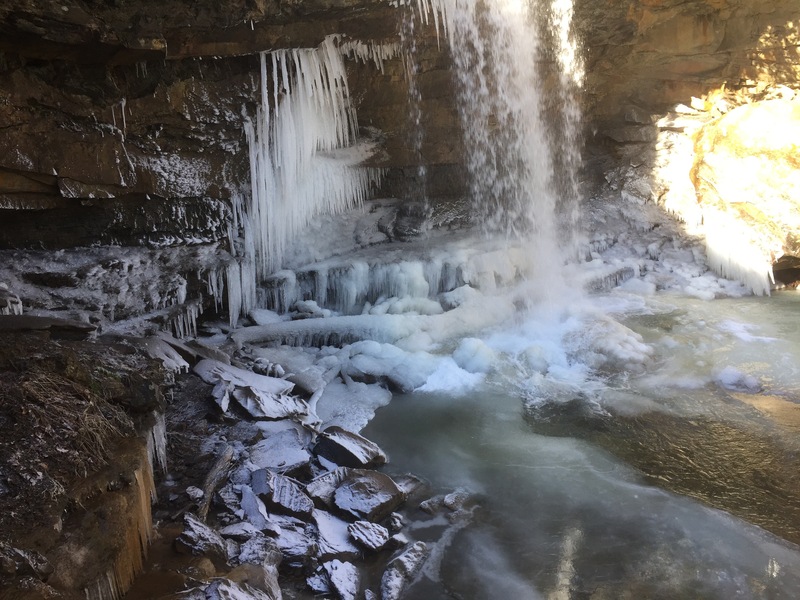 One of the reasons I was visiting Heffley Spring in January was because I needed water for a healing ritual that I had planned on doing at Imbolc. I wanted to take this rich, telluric energy enriched, pure water and, after blessing it, and take a bit to our most polluted water ways in the area to help do some energetic work. 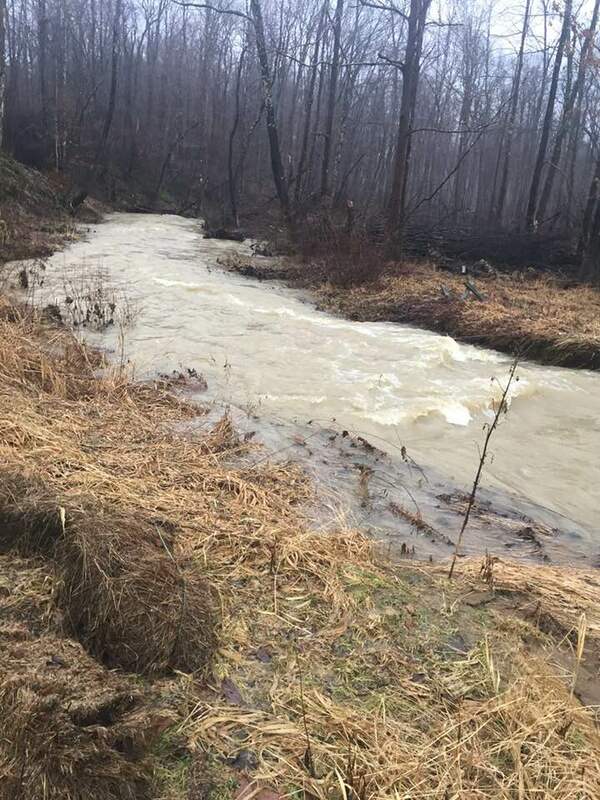 There’s regenerative work I can do physically, but my research and intuition on these waterways is that this kind of cleanup work, stretching 1000’s of miles, or the ongoing fracking issues, are certainly beyond any single human being. All that we can do is respond in some way, in a positive way. These sacred waters can be like a soothing balm to the more damaged waterways. It is our prayers, our holding space, and our magic that is one of the few things that can currently help these spaces. I would also mention that for healing work of this kind, make sure you store your water in pure glass jars or jugs–you can find these for reasonable prices at your local homebrew store (I really like the gallon jugs I got there for about $5/each! ), use old wine bottles, or use a mason jar. Waters of Physical Healing, Flow, and Creativity. The other side of this is the personal healing and inspiration you can get from these . 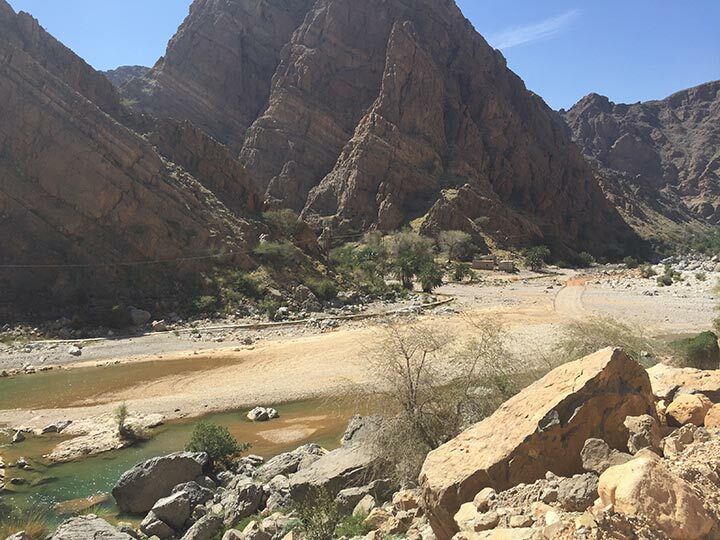 Drinking water often from such sources of telluric light can facilitate healing and transformation within. For one, I have found that in drinking water from the spring, I feel more energized, awake, and alive. Its hard to explain using words–but my body literally feels scrubbed clean and fully awake, alive, and healed (its not that dissimilar from when I drink a good reishi or chaga tea). 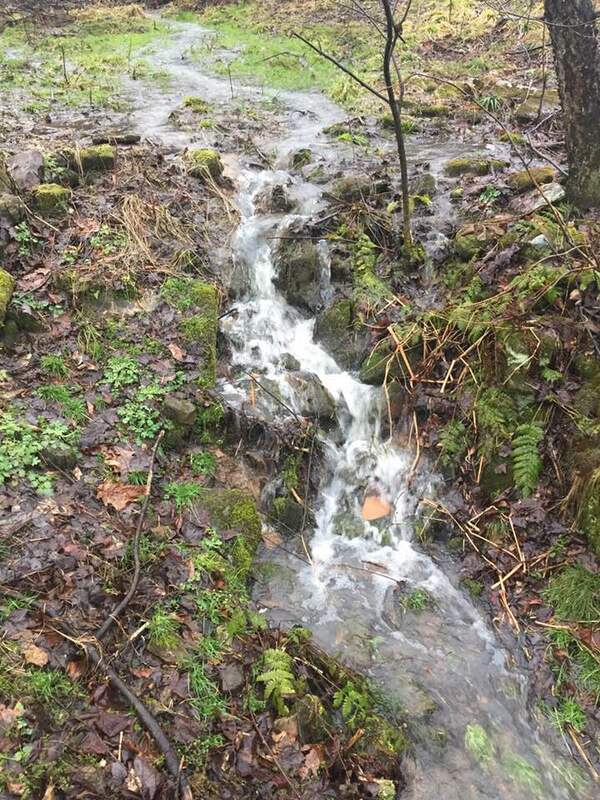 For two, I have found that the water from these springs facilitates the flow of creativity in my own life–such as the writing of this post, which is flowing out of me on Imbolc itself, as I sit and drink deeply from the waters of this spring while I compose these words. A glass of water from this spring in the morning along with my other daily ritual practices is an incredible start to my day! The water from these springs is truly a gift to be cherished and valued. Gushing water from the Spring in June! I would encourage you to seek out sacred springs in your own region or in places that you visit. The best place to start is in two directions: first, ask older relatives and friends if there are any springs nearby that people would visit (or even drive to visit). Second, look at the map. Places like “Indian springs” tells you something of the history of that place–my guess is that at one point, some “indians” had a spring there or other source of water. This alone has helped me find many potential sites for such springs. 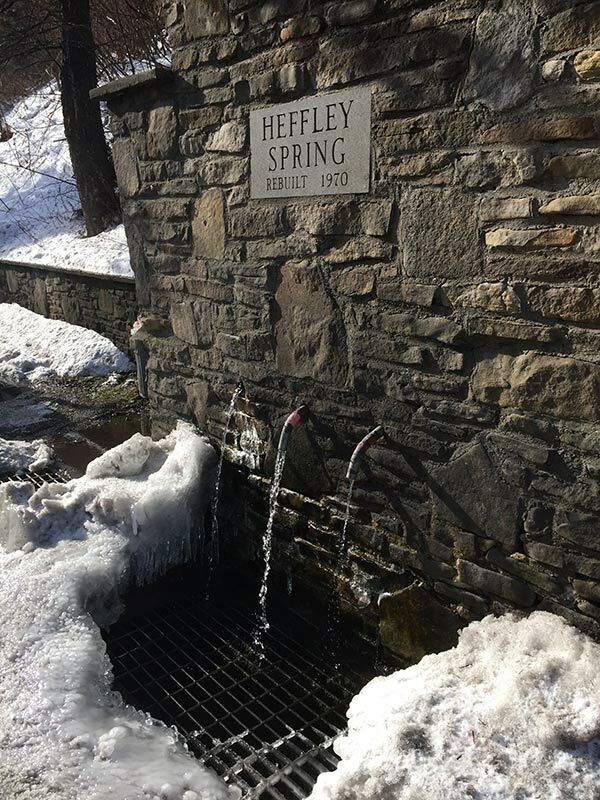 You might find that some springs only flow in the “spring time” (not a coincidence) when the waters are flowing, but other springs, like Heffley, might flow year round. 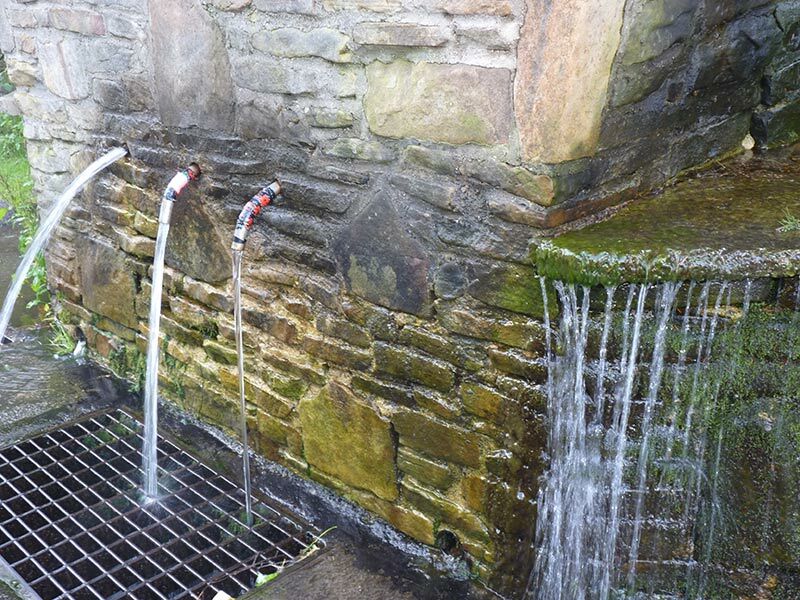 You may also find that there used to be a spring there, but its no longer maintained–but its still worth finding! 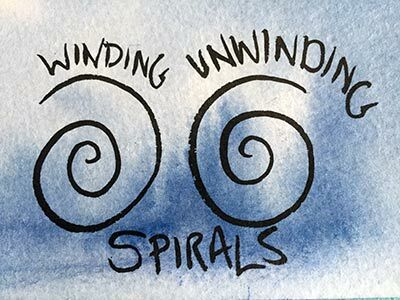 I hope others consider finding such springs a worthy endeavor–I’d love to hear your experiences and stories!